Want to brush up on your crochet skills? 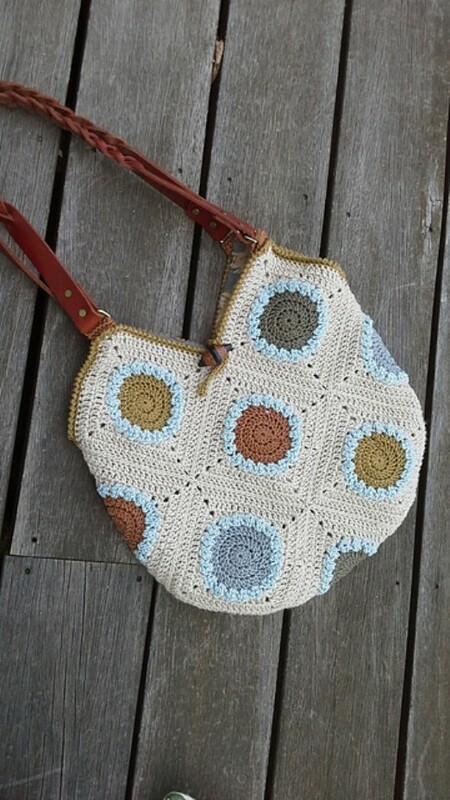 Get started with this lovely Fair Day Tote by Marji LaFreniere. I love a crochet project that is easy to make, is functional and looks great. You get lots of satisfaction every time you use it afterwards. This gorgeous tote bag is perfect in size: approximately 13” across and 13” from bottom to where handles attach. This tote is made up of 13 identically sized squares. Each square has a round center section, bordered by a contrasting row of “bobbly” stitches, then squared off and framed with the main color (Rowan Creative Linen). Material: Rowan Creative Linen – 2 skeins; 4 different “Center” colors of the Cotton Classic and 2 skeins of Cotton Classic for the “Bobbly” outer circles. Thanks to Marji LaFreniere for the article inspiration and featured image. 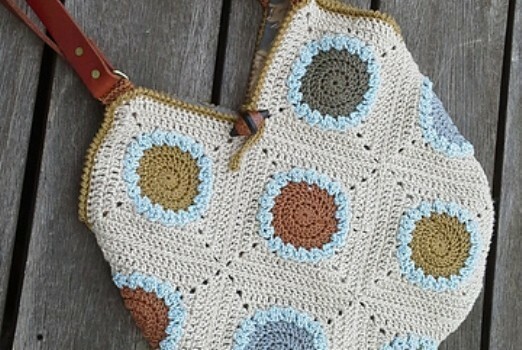 [Paid Pattern] This Gorgeous Bohemian Blanket Is Crocheted In 7 Pieces. Take A Look. Mary Bentzinger Kirch this is what I was talking about.